Though potatoes, yams, squash, and carrots are generally the fall side dishes of choice, Brussels sprouts, parsnips, and fennel get crispy and sweet when roasted, and folks who think they don’t like them fall in love. A drizzle of Ice Syrup or maple syrup at the end is the perfect finish. If you opt for the Ice Syrup, a unique Niagara product, www.icesyrup.com lists the many local retailers who carry it. Preheat the oven to 425 degrees F. Put the vegetables on a baking sheet and toss the with the olive oil. Sprinkle with salt and pepper. Bake for 35 to 35 minutes, until tender and browned. Drizzle with Ice Syrup or pure maple syrup. You’re so right about roasted brussels sprouts. That’s how I get my kids to eat them! I love that you included parsnips and fennel in this dish. Yum! 😃 This is a lovely & unusual side dish! I love it too! Mmmm this sounds really tasty. 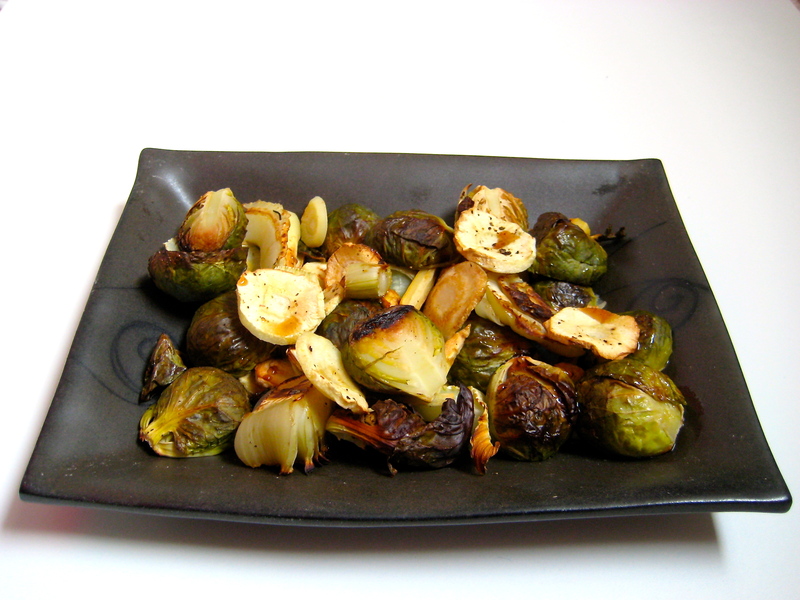 I used to think I didn’t like brussels sprouts until I tried them roasted for the first time. Now it’s like my favourite comfort food. Mmmmm.